For one-time tasting me enough 2cl actually plenty, for example, the chat FT I have almost always after about half an hour, when my notes are done, still a good sip in the glass, without somehow holding me back and to be frugal. So far, the 2cl have only been limited in difficult grip strengths, if something goes wrong during dilution. In this respect, I had little to no hesitation, in this case to cope with a smaller amount (about 1cl, in two a little less), full concentration, no gulp waste, dilute is not necessary. I take basically very small sips and keep the whisky quite a long time in my mouth, that I was too thin while tasting in the mouth, quasi taste "disappeared", but I have not experienced. 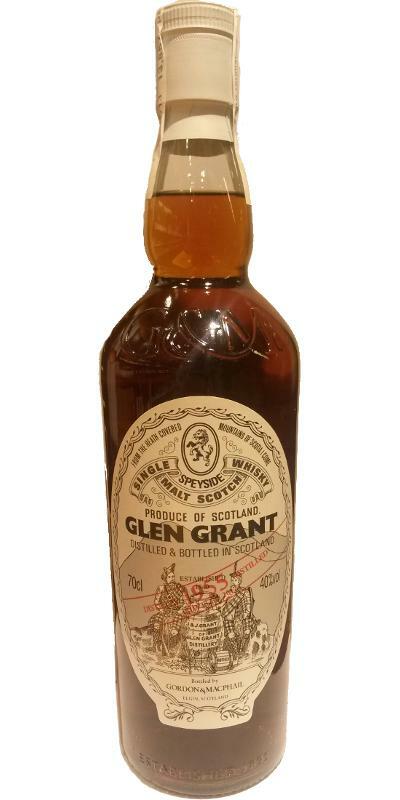 As a comparison, the 1966 Ben Nevis WID: 66918 with only 29.5% - logically, less alcohol, softer, but the flavors (whether you like them or not) are fatter, thicker, richer than in the grents that disappears even with a tiny sip not after a short time in the mouth. 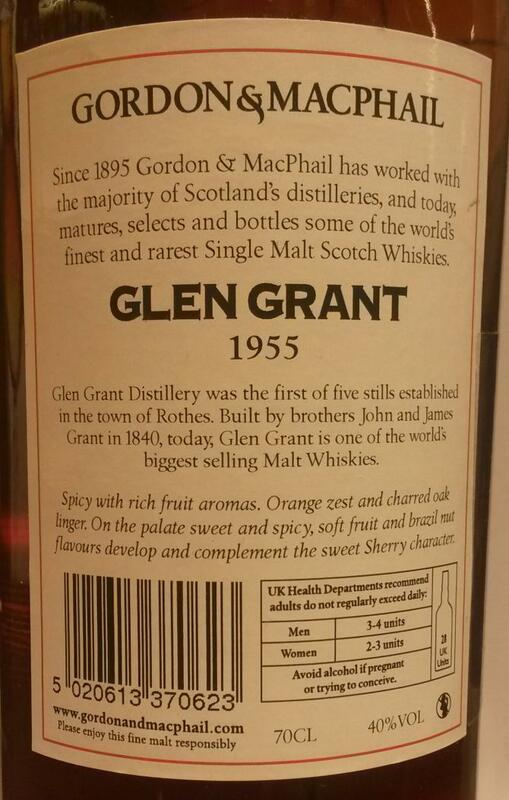 The flavor of the Grants are all 6 pretty great, interesting, an experience. However, if you also want to enjoy the taste and the finish, you should or must take your mouth fuller, otherwise the whisky is gone before you even had half of the enjoyment. Especially if you take larger sips anyway (and heavy stuff is used to), you should probably not start under 5cl in this case. Nevertheless, * if * I had 2000 € hobby budget a month, I would probably take half the annual budget, buy me a six-pack, tear it up and enjoy it with friends. Just because it works and is delicious and the numbers on the bottle but somehow fun. Is it Christmas yet? For that is what this nose reminds me of. Punch, Christmas cake, a warm dessert with plums, apples and oranges, raisins and a bit of mint. But I mean big time! Such a wonderful fruitiness. And with a good espresso on the side. A touch waxy. And the woodsmoke again. This is festively good. Great body and good spiciness. Pepper, cloves, cinnamon – Christmas all over again. Some barley sugars precede the fruit. This is all about sherry notes: rum raisins, plums, figs, dades, you name it! Quite a bit of orange zest and a handful of nuts. The finish is very long, very spicy and very dark and sweet. And very good. The nose is quite rich and big. There are some winter spice notes with a good orange peel character. Oak embers glow gently in the campfire with a fruity note emerging, a drop of sherry added for good measure. The palate is well-balanced and rich and quite warming. The oak notes are peppery and spicy with cinnamon and cloves. The smoke whirls gracefully and a barley sugariness emerges. There are some sherried sultana notes with a good malty note. The finish is long and quite soft with sultanas and peels.